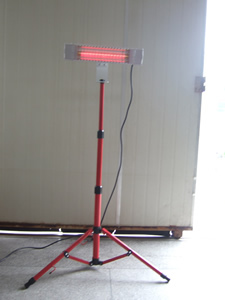 This Classic Infrared Patio Heater provide you instant heat by means of gold coating Infrared Lamp for home, commercial and industrial use! 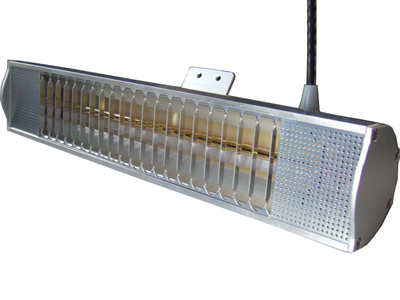 Radiant heat at the push of a button.Objectes are heated with a sun-like warming effect. The high-frequency heat waves penetrate the air without warming it. 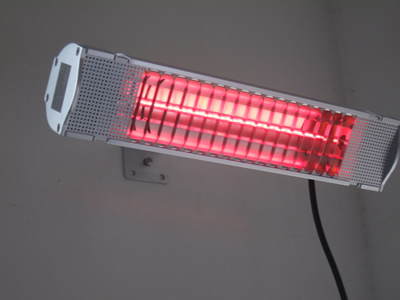 The result is energy-efficient, effective heat beamed precisely where it is needed - at people, objects and materials. This happens without the usual problems - pre-heating and its associated cost; loss from drafts or because hot air rises. The whole body is completely made of solid aluminium and with optimum finishing .It is matched with gold lamp. Patio and Garden,camp sites,restaurant and café terraces, Factories, sports halls, exhibition halls, work areas, churches, large halls, warehouses, storage areas, garages, terraces, greenhouses, open air applications, stadiums,etc.